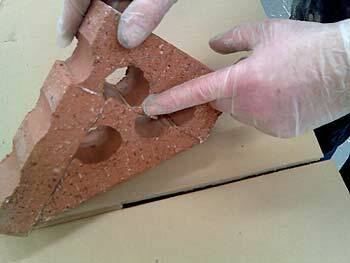 THIXO RAPID BRICK ADHESIVE is a two part, styrene free, high strength polyester resin adhesive. Thixo Rapid is mixed in the nozzle attached to a 310cc cartridge - fits into a normal 'mastic' skeleton gun. Bond is hard in 6 - 8 minute. 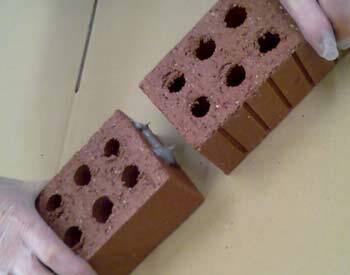 Bonding angled bricks, bonding blocks and stone, fixing and repairing tiles, slates and brick slips. - mixes in the nozzle, mix only what you need. - high bond strength and excellent resistance to weathering. Thixo Rapid is supplied in 310cc tubes. Each tube contains two separate plastic bags: total mixed volume is about 280cc. The final colour when set is mid grey. Epoxy Adhesive Paste is a two part, solvent free, high strength epoxy resin adhesive. - easy to mix, equal 1:1 mix ratio, mix only what you need. 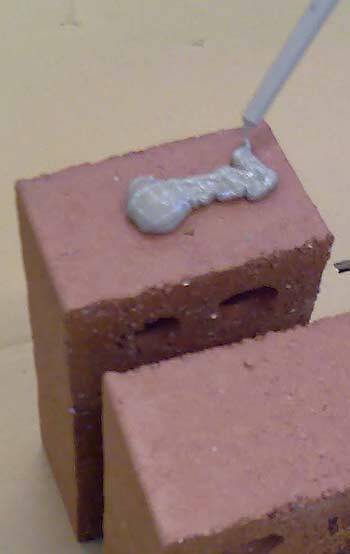 Epoxy Adhesive Paste is supplied in from 1 to 15kg packs. 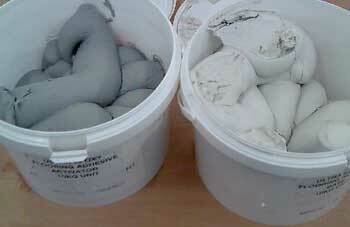 Each pack consists of two separate containers: mix ratio is an easy 1:1. The final colour when set is mid grey. Buy Now for fast Delivery - Nationally, by T.N.T. and UK Mail Carrier.